Tim Wolfe has evolved into a fine bassist with a very lyrical approach.
. 1 is out now. Tim Wolfe, Jr. earned his master’s degree in jazz studies from The University of the Arts. 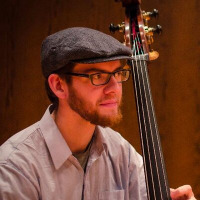 As adjunct professor of music at Lebanon Valley College, he teaches double bass, bass guitar, jazz improvisation, and directs small-group jazz combos. Working with students of all ages, Tim also teaches workshops, clinics, and master classes at high schools, middle schools, and elementary schools in Pennsylvania and Maryland, as well as keeping a private teaching studio out of his Bucks County home. Lessons are available on upright bass, electric bass, improvisation, and music theory at all ability levels and all ages, from absolute beginners to high school students preparing for college auditions to adults. Students of Tim's have been accepted to top university jazz programs, as well as district orchestras and jazz bands. While having an outlined curriculum to develop his students’ technique, reading, and knowledge of theory, Tim cater to their interests by showing them how to apply what the are learning to the music that they already know and love. Tweets by Tim Wolfe, Jr.
All About Jazz musician pages are maintained by musicians, publicists and trusted members like you. Interested? 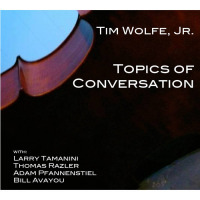 Tell us why you would like to improve the Tim Wolfe, Jr. musician page.